With hundreds of digital vendors to chose from, figuring out the best way to provide quality care and wellness platforms to employees can be a difficult task for employers. 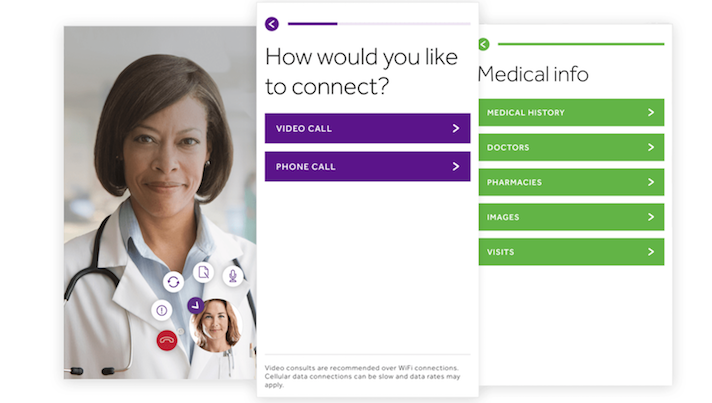 Some companies are looking towards the most cutting edge apps, while others are seeking more traditional routes like implementing a telemedicine program. But as more companies dip their toes into the digital waters employers are starting to share what works for them and what doesn’t. While there are some universals in what employees want, it is also essential to know your employee base. For example, Ezzard said that employees at his company, many who spend their days creating commercial video games, want a platform that was sleek and easy to use. But in his case “gameifying” an employee wellness platform wasn’t going to work. Blizzard teamed up with Jiff, now part of Castlight, to offer employees a wellness platform which gives employees access to a variety of other healthcare apps, which cover topics from weight management to living with cancer. The system also gives them back data on what services are being used. The average age for an employee at Activision Blizzard was also relatively young, which means many employees aren’t necessarily visiting a doctor on a regular basis, he said. However, the company reports 60 percent of its employees are interacting with the digital platform. While the number of employees accessing tools for things like heart disease is relatively low at Activision Blizzard, Ezzard said, pregnancy and infant care tools are popular. In fact, 14 percent of the total engagement on the platform for the company comes from this space. Ezzard said they offer not only apps but a smart baby bed called the Snoo Smart Sleeper, which was designed to be responsive to baby’s sleep and movements and lets parents track sleep habits with a mobile app. The crib is designed to help the baby sleep longer, which could mean more rested employees, Ezzard said. But apps and tools are just one way that employers are using virtual health. By contrast, Chesapeake Energy has decided to use more traditional telemedicine as its way of the future. While the energy company has a main campus with a doctor on site in Oklahoma City, many of its employees live in remote areas where getting to a doctor can be tough. The company saw that its employees were using the emergency room at a high rate. So to remedy this, along with other concerns such as access to a facility, it employed Teladoc as its telemedicine service, according to Lisa Cummings, director of total rewards at Chesapeake. “We have been able to reduce costs for the company and provided some benefits to people in remote locations,” Cummings said at the event this morning. Cummings reported that during the first year of implementation in 2015, 10 percent of employees used the service. That number has grown to around 17 percent and plateaued in the last couple of years. The company also asked employees using the service what alternative they would have used if telemedicine was not an option. A majority (60 percent) said they would have gone to an urgent care center, another 30 percent said they would have gone to their primary care provider and 8 percent said they wouldn’t have seen a doctor at all. Cummings said that the company hasn’t seen a drop in the rates of people visiting the onsite doctor at the Oklahoma City campus; rather, the technology was used as an alternative during off hours or for employees working in remote areas. In the future, Cummings said she would like to see more integration between the onsite practitioner and the telehealth services, so practitioners could see what kind of care or medication the patient has already received. “My goal is for the onsite doctor and telemedicine doctor to [be] seeing same EHR,” Cummings said.